With both paid and free versions available and to ensure that your PC is healthy there is no reason you should not have a good antivirus program on your system. They will keep your operating system running smoothly at top speed and help keep your personal information safe by protecting your computer from viruses, spyware, and other malware. Security software companies also usually offer internet security software which in addition to antivirus protection also offers firewall, antispam, and antiphishing capabilities. When purchasing antivirus software there are a few things you should keep in mind. First make sure it will work with your current operating system. Also most versions come with 1 year of coverage and then you must pay a renewal fee to keep it up to date, but with some you can buy a lifetime license which costs more initially, but can save you money in the long run. You also can often either download the software directly (some even have a 30 day trial period) or purchase the box with discs and install it. For this review we looked at antivirus software and rated them primarily on protection – how well they protect your machine, performance – how much they slowed system performance and used system resources, and usability – how easy they are to use. To aid us, we used data gathered from www.av-test.org and www.av-comparatives.org along with other user reviews. Below we review the top 5 best antivirus software programs and the top 4 rated best free antivirus software programs. We picked Kasperky Anti-Virus as the best paid antivirus software. It scores high marks in all areas including catching over 99.9% of threats, while selling for a very reasonable $19.99 for one year of protection. Kasperky doesn’t offer many features, but it has a clear interface that makes it easy to manage all while offering multiple layers of protection to keep you safe. 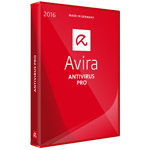 Avira Antivirus Pro is another good choice for protection of your PC, however it does not provide a version for Macs. It is relatively expensive at $45, but its scores very high marks from all the lab testing companies in protection and preventing malware attacks while also affecting the performance of your computer the least of any antivirus software program. Besides antivirus protection, the starting package also protects downloads, email attachments, and online shopping. If not hogging computer resources is a priority to you, then we recommend Avira Pro because it is the lightest version you can buy. ESET NOD32 antivirus is a polarizing choice for some. While it receives great scores from independent lab testing, some users find that it does not work as well in real life especially in blocking malware and rootkits. Costing about $32 it does use slightly more resources than Kaspersky or Avira. We also found that many IT professionals swear by this software for simply being quick and effective. 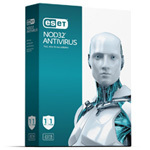 Visit the Official Site for the ESET NOD 32 Antivirus. BitDefender Antivirus Plus 2016 might just be the most accurate and reliable antivirus engine around which is loved by all the big independent testers. You can get a 3 PC license for one year for less than $40. Some other handy features included are an anti-phishing module, secure browser to keep your financial transactions safe, and a password manager which can also auto fill your credit card info. 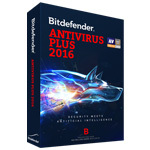 Visit the Official Site for the Bitdefender Antivirus Plus 2016. 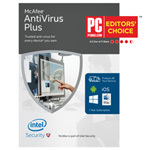 We never thought that we would recommend McAfee Antivirus Plus since in the past McAfee would hog your system resources. However this version is pretty good at detecting threats while not slowing your computer down too much. However, maybe the best feature is the $9.99 price tag which allows you to install it on an unlimited number of devices including Windows PCs, Apple and Android devices. Our pick for the best free antivirus program is Avira Free Antivirus. This software works best where it matters most which is in protecting you from all threats. It received high grades from all the top testing labs on par with Kaspersky or BitDefender paid versions. The interface is a bit dated and appears confusing, but it is easier to use than it looks. Avira is also very lightweight and affects your performance the least of any free version which is great for those of you with older or slower computers. Avast Free Antivirus is another very popular anti-malware product. Not quite as good as Avira at detecting threats, but still very good for a free antivirus program. It is also lightweight will not bog down your computer. One nice feature of Avast is a free syncing password manager which you can use to autofill your login information at websites. The interface is updated and pretty easy to use, but be aware that there is an integrated sales pitch for various tools you can find in the interface. So be careful that you don’t click on a feature that costs you money, unless you really want to pay for that feature. Another free antivirus program is AVG Antivirus Free. It scores high marks in keeping you protected, but it does bog down your computer slightly. You should also be aware that when you install the free version you can accidentally install a 30 day trial of the pro version if you are not careful. The interface also includes features that you have to pay for, so be aware. Some features will give you a short free trial period, but the software will bombard you with popups to get the paid version. Panda free antivirus rates as good as Avira in terms of threat detection and keeping you safe, however it also negatively affects the performance of your computer the most of any of the free versions. When installing, also pay close attention or else some default changes will be made to your browser and search pages. Since Panda will bog down your computer we do not recommend it for older or budget computers, however if you have a newer computer with plenty of resources then it is a good choice thanks to its highly rated protection.